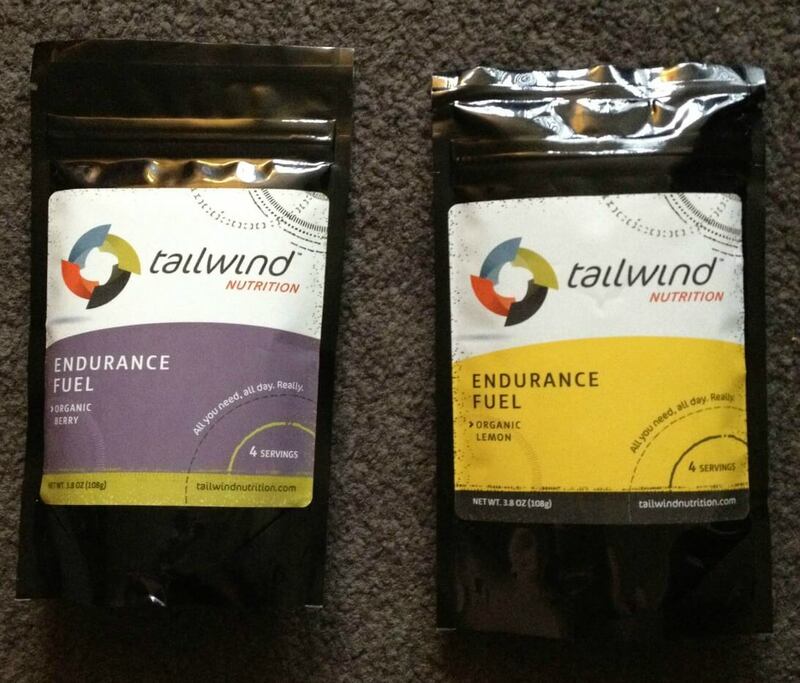 I really enjoyed using the Tailwind Nutrition single use pouch for the first time. One 3.8oz pouch contains 4 servings, which states to mix with 48 oz of water (I used about 40). 48 oz is a lot of liquid for even a long run for me, so I shared with DrToothy. She ran 9 miles and consumed a 12oz bottle, and I consumed the rest during an 18 miler run. I would normally eat a couple gu’s or gels (or some other food) during a run that long, but with the calories and electrolytes within this, I decided to consume only the Tailwind to see how I felt. The short story is that I felt great! My energy levels seemed even throughout and I never felt an oncoming “bonk” or drop in blood sugar. I certainly started to feel a little more tired toward the end of the run, but that should be expected. I felt pretty good the rest of the day too and the next. I had the berry flavor, which really reminded me of cotton candy flavored gum. The flavor was somewhat sugary, but I disproportioned the water slightly so that could have been why. Either way I still liked it. 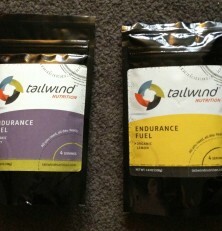 The “single use” pouches 3 for $10.50, which I already thought was a decent deal, especially when I only use for long runs. 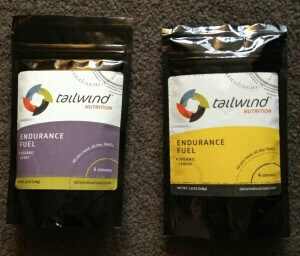 Also if just using by myself, I would probably only use 1/2 pouch per run. Overall, I was very pleased with this product! I like this product a lot. As explained above I used this for a 9 mi run, and I also did not consume any other gels before or during the run to see how well it worked. It was very hot out also, which normally concerns me nutrition and water wise. However, I only drank this and I never felt dehydrated and I never had the sugar crash that I normally get between 8-10 miles without a gu. I did think it was a little sugary, which I attribute some of this to having a tad too little water and some of it just to the flavor itself. I took half a star off for the flavor, but overall the flavor was pleasant. I also think some of the excess sugar taste was just due to so much sugar in the product to help keep your blood sugar levels high. I really enjoyed this product and plan on using it for longer runs again since it cuts back how many bottles and nutritional products I have to carry when I’m out running.